Make It Work Monday is all about accessories for 18″ dolls today. 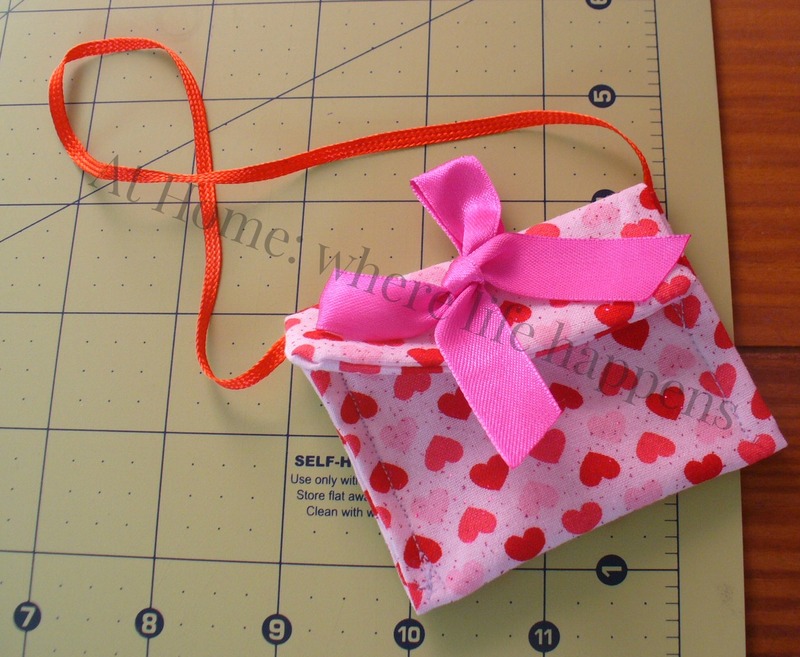 L came to me wanting to make purses to go in the boutique that she is creating for one of her dolls. She knew exactly what she wanted but didn’t know how to do it herself. She wanted to sew them. So, we went to work. Now, it is tutorial time! As we went along with the second one, I took pictures so that you could make some of your own. These are simple and, had I been doing them myself would only have taken 20 minutes, max. With L, age 8, doing the sewing, these took about 45 minutes. The second one was definitely faster than the first, so I suspect that future ones will be even quicker. Step 1: Select and cut your fabric. This is a rectangle about 6 inches wide x 7 inches long. This can be adjusted for a wide or narrower, longer or shorter bag. Just modify for what you need. Step 2: Fold it in half from the width, right sides together. Sew down the long side and across one of the short sides. 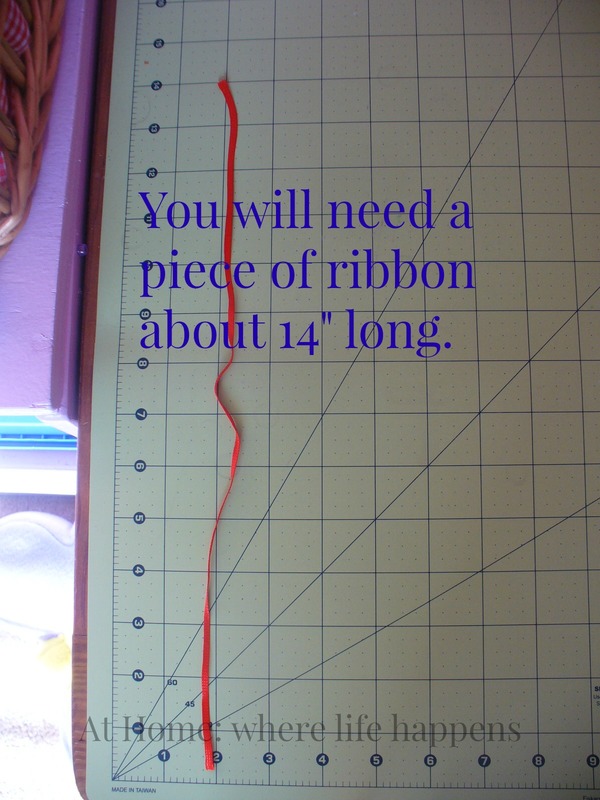 Pin it before sewing if you need to. For a child, definitely pin it before sewing. It just helps keep the fabric lined up so well. Step 3: Turn the fabric right side out. Press with an iron. 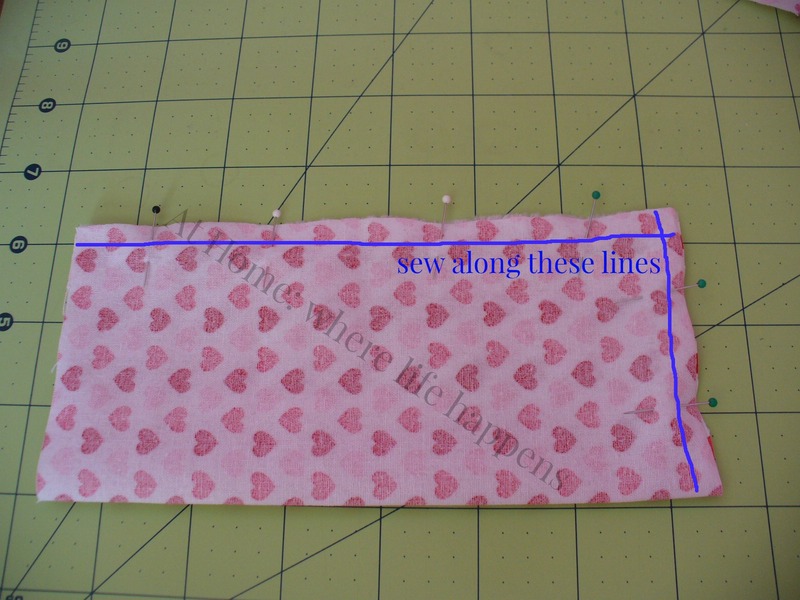 Step 4: Tuck the raw, unfinished edges in about 1/4″ – 1/2″. 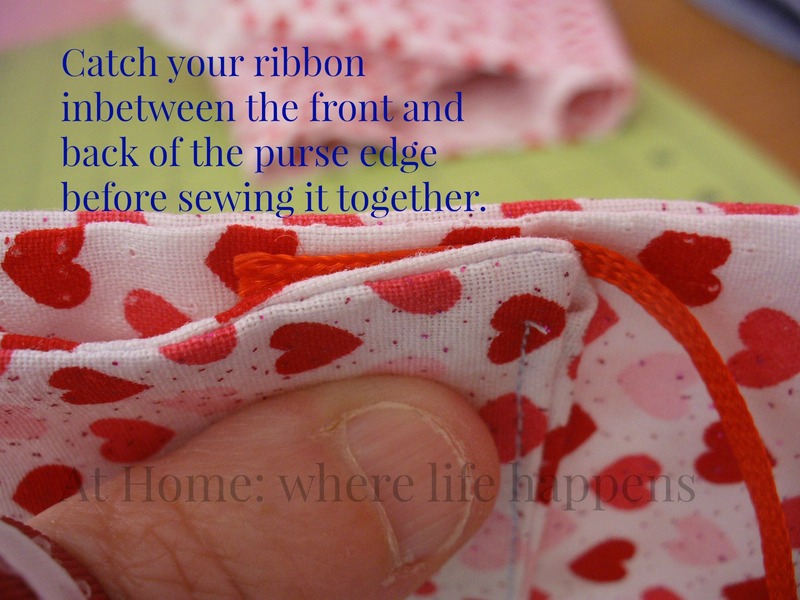 If a child is doing the sewing, tuck a larger amount in so it is easier to ensure that the raw edge is caught and held. 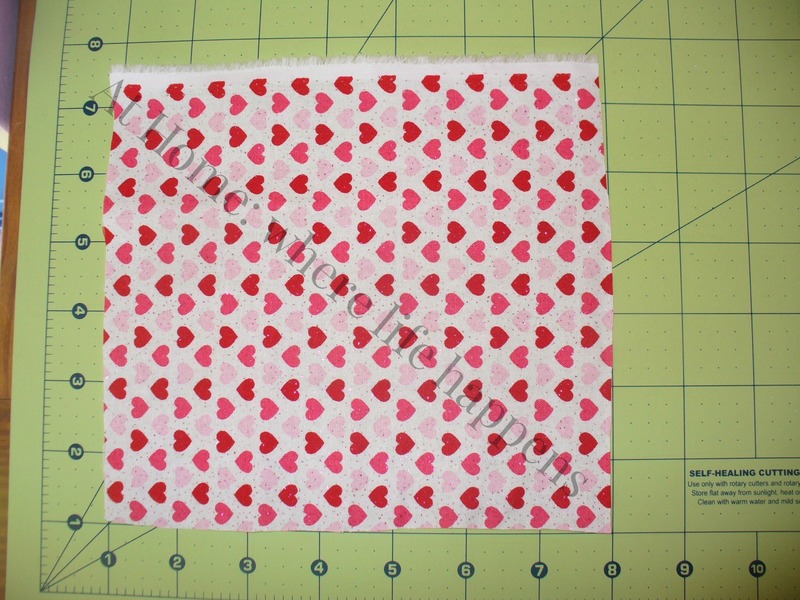 If I am sewing it, I’ll just tuck 1/4″. Pin and sew. Press. Step 5: Fold one end up about 3 inches. 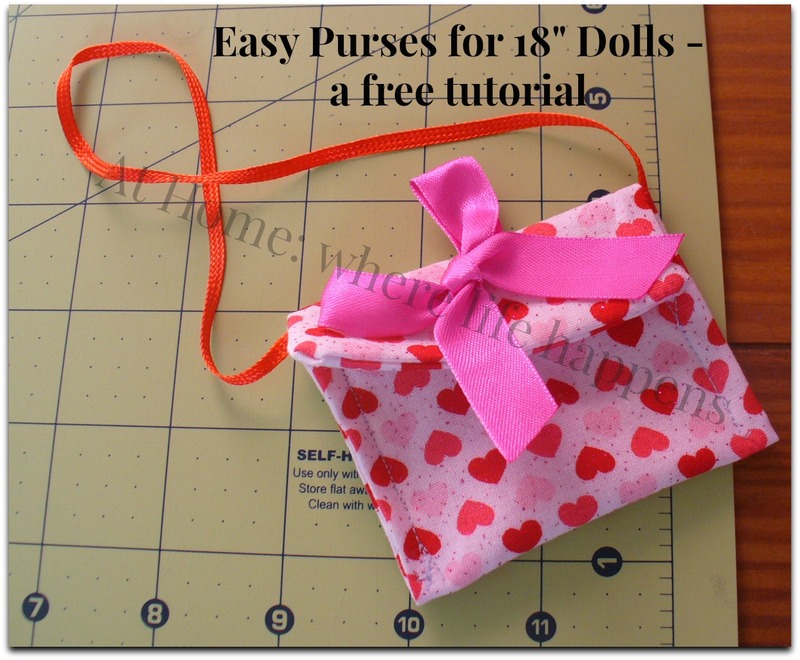 You will be sewing up the edge to create the biggest part of the purse. 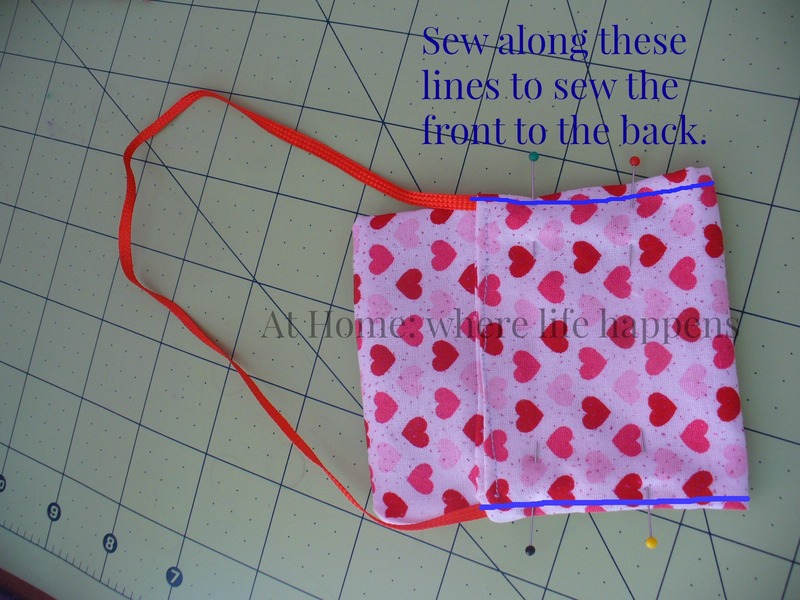 Tuck 3/4″ of ribbon in between the front and back of the purse, along the seam line you will be sewing. 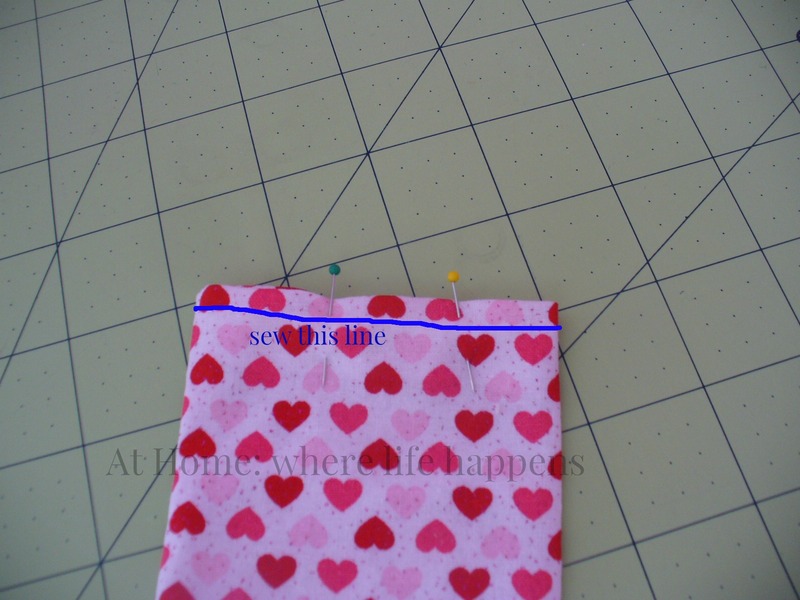 This will allow you to sew up the center of the ribbon, ensuring it is caught and held. Sew both sides. 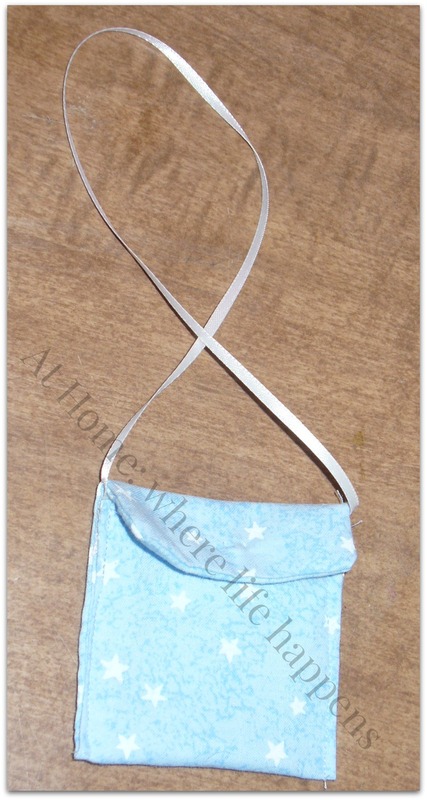 Step 7: If desired, add an embellishment to the front of the purse. L’s note: You can add ribbons and little buttons and things like that to make it extra special, the way that you want it. Isn’t this a sweet little purse she designed? I love her creativity and her ability to see something in her mind and describe it in a way that I can help her bring it to reality. That is a talent that I dearly hope she is able to hold onto as she matures. It will be invaluable. I am so proud of L! At Home.